Disc one although only listing three tracks, repeats each of these tracks four times, meaning there are twelve tracks in total on this CD. This promotional set was released in Taiwan for promotion of “The Best of 1990-2000” album in that region. The set is a double digipack case, which features the image for “The Best of 1980 – 1990” on the back of the outer package, and the image for “The Best of 1990 – 2000” on the front of the outer package. The entire package contains the catalog number U2014-2. On the inside is the track listing, and the name of the CD, “The Best of 1980 – 1990 * 1990 – 2000” where the asterisk is a five pointed start. 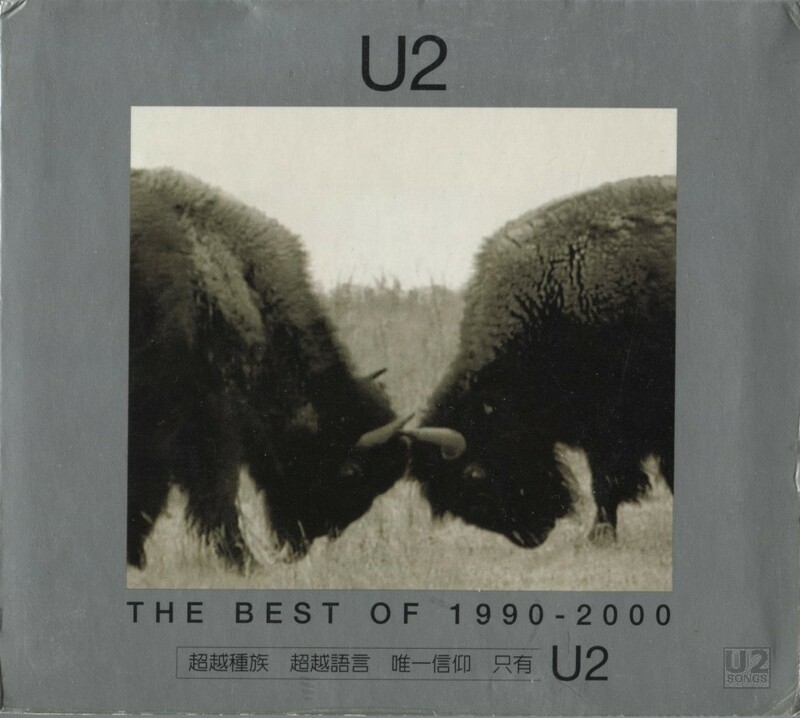 Each of the CDs inside the case are given a unique catalog number, with the 80s disc being numbered U21024-21 and the 90s disc being numbered U21024-22. The 80s disc contains three tracks, “I Still Haven’t Found What I’m Looking For,” “With or Without You,” and “Desire” as the first three tracks. These three tracks are then repeated three additional times so there are 12 tracks in total on the first disc. The second disc has ten tracks in total, including many of the ‘new’ tracks done for “The Best of 1990 – 2000” release. Also contained in the set is a booklet which is attached to the digipack, that cannot be removed. The booklet has a silver cover, and contains images from the 1990s, a short biography and discography of the band.